Yay! Hello. How are you? I'm happy to be here, blogging. I miss this. Summer is FUN and busy and I'm enjoying spontaneous opportunities that strengthen my procrastinating skills :) BUT, today was good for my creativity. I created a NEW Story Starter album AND a little movie to tell you all about the genesis of my idea. I understand if this may have been a little shocking for some of you. I hope I made it abundantly clear that this experience has been 100% shocking for me as well! But, seriously ... what a delightful lens to look at your life with, right? I think you should Try it. After I realized how much I actually like Larry and how he doesn't bother me and how completely unexpected this is, I began to think of other opportunities and experiences I've had that I truly had no way of anticipating. I knew that these would be really unique, telling stories, and Story Starter is a PERFECT place to document such things! 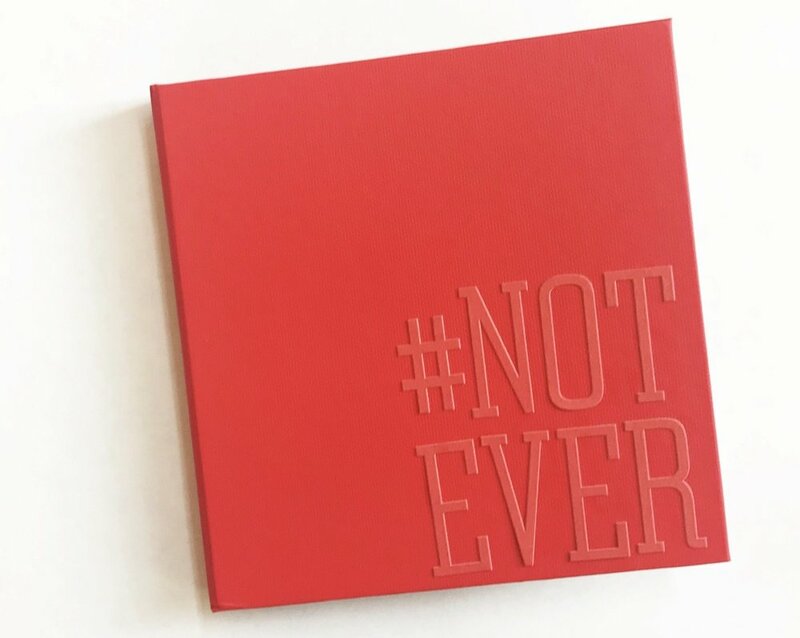 I'm crossing my fingers that this idea resonates with you and that you'll leave me a comment and share something you've done that you never knew you would do, #notever (in a million years!) Then, I hope you'll consider creating your own little Story Starter album to honor some of these shocking, surprising, refreshing and gratitude-inspiring experiences. After all, LIFE is to be lived. Tell me how life has taken you off guard and how you've responded! You can see each spread in my completed album by clicking through this photo slider. I had a few scraps of one of the Central Park papers that I used on my title page and first spread. I also used letter stickers from that collection on the cover of my album. I used stamps from the Colorful Textures stamp set on my story pages in lots of fun, happy (stacy-ish) inks. On the last spread, you MIGHT even see a sneak peek of what's coming September 1st. I can't tell you more yet, but I'll be dropping a few hints before then! I can tell you that it will be a FANTASTIC solution for using LOTS of photos in a very intuitive way AND I'm so excited for EVERYONE to see and use it. In the meantime, I'll be sharing a few more of my Story Starter albums here and on social media. If you're not following me on Instagram, I'm @storybystacy and @stacyjulian and Stacy Julian LLC on Facebook. Don't forget to tell me how life has surprised YOU!